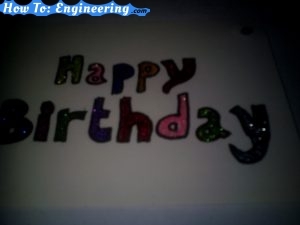 Make any letters or words you want. 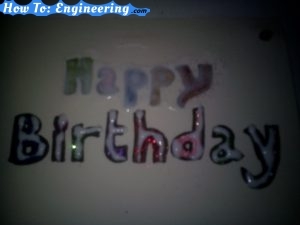 Use a permanent marker to make the outline of the letters. Add color inside the letters or could be left with no color. Do not worry if the letters come out wrong, they could be fixed later. 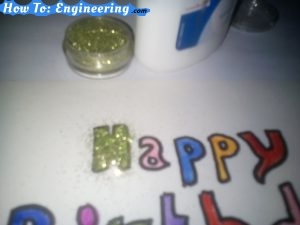 Apply glue inside the letters and add the glitter before the glue dries. Sometimes is to hard to not contaminate the glitter. But do not worry a new container with rainbow glitter could be created!! These are all the finished glittered letters. They look nice but lets make an extra adjustment so the glitter stays on its place. Add a coat of glue on top of the glitter. Make sure is a thin coat good enough to cover beyond the border line of the makers. Do not make a thick coat of glue because it can over take the glitter effect and you will lose the sparkle. Use your finger to spread the glue evenly. Wait for the glue to completely dry. If possible leave it over night so it can dry slower and nicer. 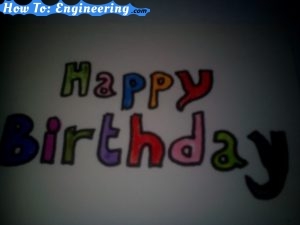 By using card stock it will be less possible for the paper to lose shape. 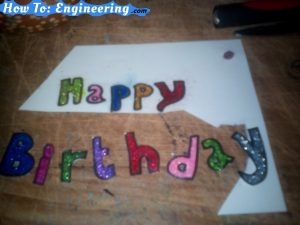 When the glue is completely dry use the craft knife and start cutting off the letters. Take your time and this is the point where you can fix letter you did not like. 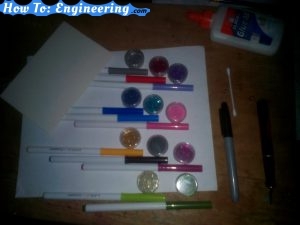 Just cut off what you need and trace with the marker. 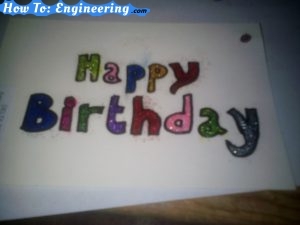 The last step is to add the letters to a paper and make a nice Birthday card, or any occasion card!! 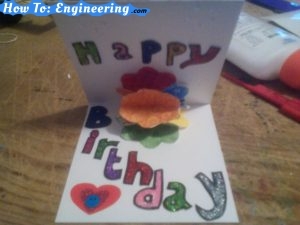 This craft was part of a flower on the picture Birthday card. Next Next post: Picture Frame Makeover! !